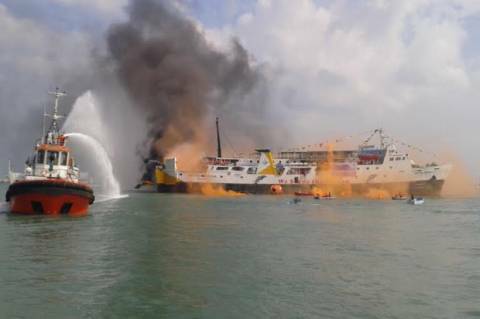 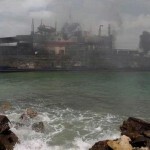 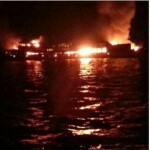 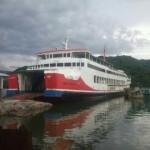 The 72 meter long, 348 dwt ro-ro passenger ferry Gelis Rauh caught fire while in the Lombok Strait near Padangbai, Bali. 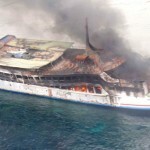 The Gelis Rauh was en route to Lombok Island with 53 passengers, 13 lorries and 20 crew when fire erupted from the car deck. 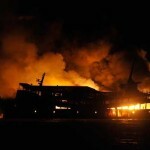 The fire quickly spread through the superstructure and soon engulfed the entire ferry. 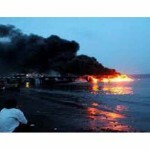 Uncontrolled, the fire disabled the ferry and the vessel drifted until it grounded just short of the shore. 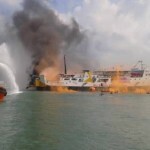 Fire boats and fire fighters operating from shore tried to contain the blaze, but it consumed the ferry down to the water’s edge. 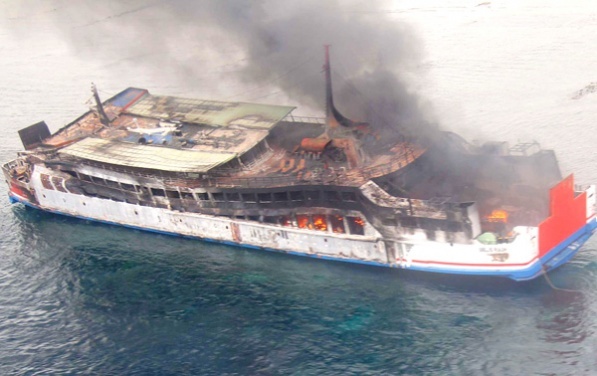 The remains of the Gelis Rauh partially sank a short time later. 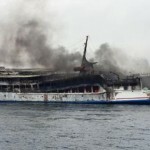 Reports state all persons on board were able to abandon ship. 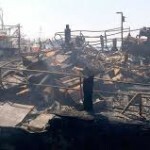 Several people suffered minor burns and were taken to hospital for treatment. 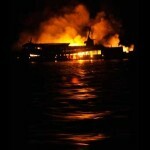 Reports state the evacuation off the vessel was slowed due to incorrect lighting on the ferry.